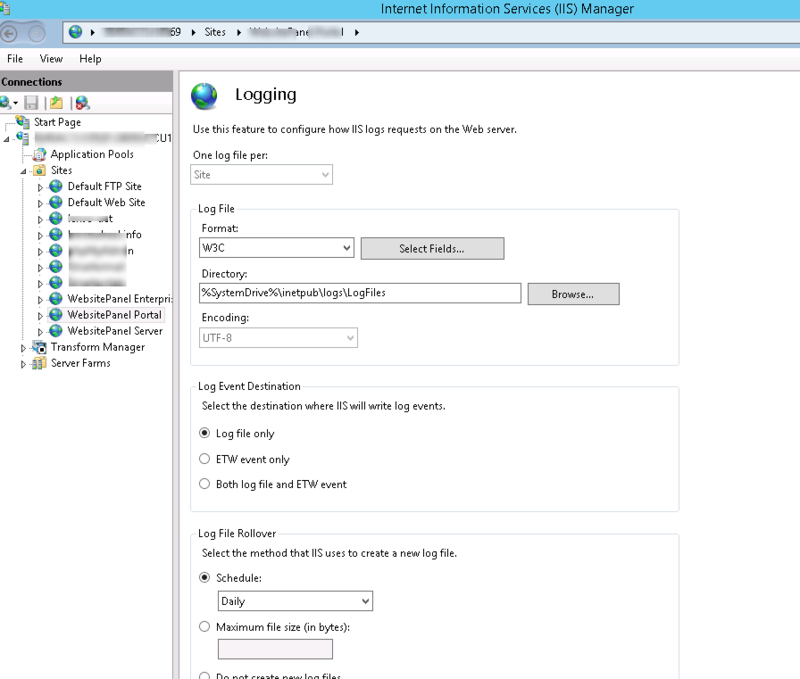 I am working with IIS 8.5 on Window 2012 and using IIS Logging feature to get the Visitor IP Address. However, I am not able to see the Visitor IP Address. Browse other questions tagged iis windows-server-2012-r2 iis-8.5 or ask your own question. What fields need to be included when configuring IIS web logging according to PCI compliance regulations?